A veritable catalogue of environmental and biological disasters brought to us by capitalism followed by some suggestions for their remedy: “Illnesses accumulate along with capital and their management is a fundamental part of the system…. Cancer is a metaphor for capital, which embeds itself in the social fabric and incessantly accumulates until it leads to the death of the patient…. Society is sick of capitalism and any cure must involve the eradication of the latter”. We live dangerously. Danger is part of the lifestyle that has been imposed upon us, danger in the form of unexpected accidents, unforeseen illnesses, slow poisoning or sudden death, danger linked to the new technologies and, more concretely, to the morbid conditions of survival in late capitalism. Despite the alleged advances brought by what they call progress, never before has humanity lived amidst mountains of cement and wastes, nuclear power plants, chemical factories, genetically modified foods and industrial pollution. The outlook is not encouraging: out of control urbanization, destruction of the land, pollution of the air, the water and the soil, climate change, the hole in the ozone layer, noise, loneliness, confinement, sedentary lifestyles, air conditioners, industrial food … all of which bring about extreme conditions that are not only optimal for the proliferation of diseases related to the deterioration of the immune system, but for the emergence of new, fatal epidemics linked to the lethal spread of previously benign viruses, or to simple poisoning and iatrogenic illnesses. As far as our leaders are concerned, this is the price the population has to pay in order to enjoy the fruits of technological-economic development. In fact, it is the essential precondition for the process of capitalist production, which is itself a process of the destruction of life. Illnesses accumulate along with capital and their management is a fundamental part of the system. The sheer scale of the damage and the depth of the disaster are responsible for the fact that the situation is in many respects irreversible. The productive forces are eminently destructive forces and their incessant development only multiplies their catastrophic effects. We have crossed the threshold. This feeling of chaos and of having reached the point of no return is the basis of that dissatisfaction with life felt by so many humans, which assumes the form of addiction, substance abuse, anxiety, depression, hypertension and suicide. Consciousness subjected to atomization is so contaminated by the capitalist values that are broadcast without any possible reply by the media, that poverty seizes control of the mind as much as it does the body. The solution is offered from within the framework of the system that caused the problem, with a blanket of psycho-pharmaceuticals. Thus, each new generation of tranquilizers legitimates and reinforces the system, while the mental health of the population only gets worse. The disappearance of social consciousness is the most terrible result of the sick society. It means that human beings lack the effective psychic mechanisms required for the protection of their persons from the repeated, increasingly more hostile and aggressive assaults of the capitalist environment, and can perceive no other way to respond except brutalization or illness. 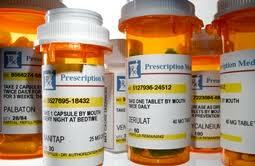 The extremely widespread compulsive consumption of medicine is the most obvious form assumed by this trend. A parallel process takes place with the mechanisms of physical self-defense, which are just as precarious due to the harmful effects of the environment and pernicious diets, which, when combined with psychological damage, lead to cardiovascular complications, the cause of one-third of deaths, immunodeficiencies, diabetes, asthma, lung disorders, most cancers and the new illnesses whose etiologies are still unknown and which have been given the name of “syndromes”. Pollution causes ten times more deaths than traffic accidents. Cancer is a metaphor for capital, which embeds itself in the social fabric and incessantly accumulates until it leads to the death of the patient. It is the typical disease of industrialized society; one out of three humans will eventually be diagnosed with cancer and, despite the capital that has been invested in research on cancer, its progression is unstoppable even among the young. Any moderately informed person can point to its environmental causes, that is, to nuclear and electromagnetic radiation, the chemical substances in our foods or that contaminate our surroundings, and psychological traumas. While living near a nuclear power plant multiplies your risk of cancer by a factor of ten, we should not overlook the relation between brain tumors and leukemia and radar, television and cell phone antennas, or the relation between skin cancer and the hole in the ozone layer. You do not have to have lynx eyes to know that living near industrial zones entails real risks of developing genetic anomalies and lymphomas. As a result of doing something as ordinary as just repeatedly passing through polluted metropolitan urban areas (all of them are polluted) one runs a higher risk of getting lung cancer than tobacco smokers. The effects of the thousands of compounds that the chemical and pharmaceutical industries foist upon us each year are entirely unknown, but we do know that numerous pesticides, plastics, fuels, drugs, and food additives and preservatives are carcinogenic. And these compounds are found everywhere: in toys, food, ceramics, packaging, electrical materials, insulation, cosmetics, textiles, computers, CDs, etc. Some are also hormone disruptors, allergens or immunosuppressors. Others are simply poisonous, susceptible to military uses, responsible for syndromes like that of the “toxic oil” (an organophosphate pesticide) or the decline of the bee population (a neurotoxin). Finally, certain manic-depressive, obsessive, ultracompetitive or repressed patients have a higher than average likelihood of developing tumors. These latter cases reflect forms of decline of the personality triggered by the prevailing psychological conditions that nourish self-denial. Besides this latter condition, the chemical and nuclear industries are the primary factors responsible for the devastation of the immunological self-defense mechanisms. This trend is intimately connected to industrial food, the concentration of the population in megacities, the production of energy, the manufacture of medicines, the system of wage labor and the consumerist lifestyle. It cannot be altered without dealing with the entire edifice, the whole dominant system. For example, the destruction of the land wrought by deforestation or urbanization compels the further increase of monoculture, with the concomitant increase in pesticides and artificial fertilizers, the further development of Genetically Modified Organisms and the squandering of energy, with their sequels of pollution, disappearance of traditional cultures, release of greenhouse gases, promiscuity and infectious diseases. The economy always reacts the same way, aggravating the harm it has already done. Urban expansion generates an increase in mobility and consequently a rise in the demand for fuels, which causes a rise in the price of oil, which is used to justify the construction of new nuclear power plants. Massive cattle yards, global warming and unnatural feeds facilitate the spread of diseases among animals (swine fever, bluetongue disease) and their spread to humans (avian flu, bovine spongiform encephalopathy), which trigger panic and in turn stimulate the pharmaceutical industry, which sells its new prescription drugs to the national health programs and creates new jobs. The unprecedented production of wastes fill the landscape with black holes of high toxicity but also generate a major recycling, treatment and waste management industry, whose treatment facilities, dumps and incinerators continue to spread pollution (particularly dioxins) and contribute to acid rain, although within the limits of certain “security” zones conceded by the ruling economic interests, a National Waste Plan is enforced; which is not the case, however, for the waste that is exported to the poor countries. And so it continues without respite. Society is sick of capitalism and any cure must involve the eradication of the latter. To fight disease it is not enough to dissimulate the symptoms. This has been the shortcoming of environmentalism. The problem can only be resolved by the construction of communities, that is, social groups without commercial relations. These communities must be self-sufficient, that is, they must function outside of the market, allowing for a certain degree of direct satisfaction of real needs and resisting the manipulation of desires. But this is not enough, it is only the starting point, the terrain upon which the new dangerous classes born from the breakdown of capitalist society, the dangerous classes that must abolish the market and the State, have to be based in order to heal themselves. We have to get out in order to fight our way forward. This can be our motto. Originally published in the Spanish journal, RENDEREN, November 16, 2008.